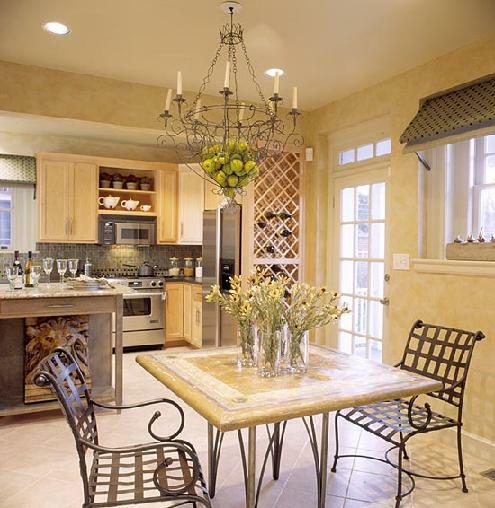 Home staging is the process of getting your home ready to sell quickly and for top dollar. This involves everything from de-cluttering, editing furniture, painiting and redesigning to creating curb-appeal and addressing general repairs. The goal of staging is to present a home to its best advantage while neutralizing the influence of its current owners. Buyers should be able to appreciate the features of a home and imagine themselves, and their belongings, in the home. Remember, you only one chance to make a first impression. Potential buyers may only be in your home for a few moments, so you want those first minutes to be positive. Room Editing If you simply have too much furniture in one room, move it to another area of the house or to a storage unit until your house has been sold. This will free up the room and make it seem more spacious and airy. An appealing selling point for potential buyers. Furniture Arrangement Well placed furnishings can also open up a room. Avoid lining furniture along the walls. Try placing your furniture at angles. Don't forget to create cozy conversation areas in your living and family rooms. Always play up the focal point of a room. Clean Having a spotless home is worth the effort to sell your home for top dollar. You can hire a professional service to come in and deep clean everything, and then take 30 minutes each day to maintain it. Let in some Air and Light Open some windows for at least 10 minutes to get that fresh air in your home. Don't forget to turn on the lights - keep it bright! Dimly lit rooms tend to look small and dingy. Paint A fresh coat of paint always brightens up a room. Choose a neutral color that appeals to all tastes. While you're at it, freshen up the molding and ceiling too. Hire a Professional If you feel overwhelmed about the prospect of getting your home ready for the Open House, it might be a good idea to hire a professional Stager. We offer three levels of Staging services to fit every budget.